I love #YALC so much! It's amazing how much it has changed and grown over the last three years. It's so organised, slick and seamless and everyone who attends comes out loaded with books and more excited than they were when they went in. The worse thing about YALC is when it's finished. You spend three days on a solid, sugar fuelled high and then when it's over, you come down to earth with a bang, wondering around the house, aimlessly looking for a book blogger or an author to hug and settling for the dog for the hundredth time. 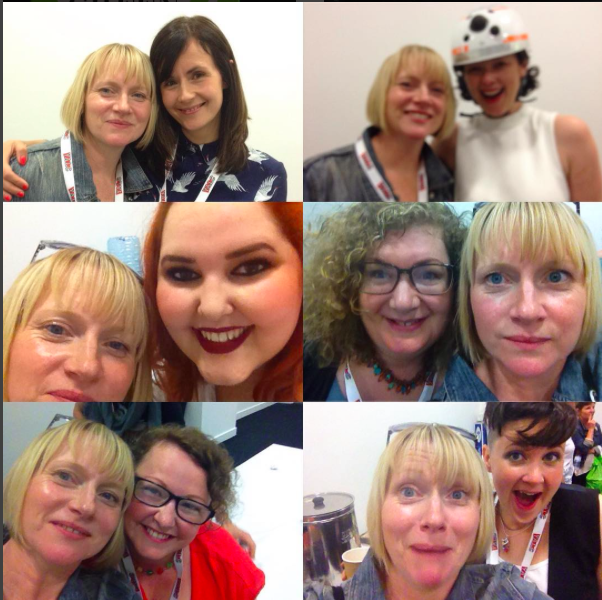 I know there will be loads of YALC posts going up over the next few days, but I can't miss out on being part of it. 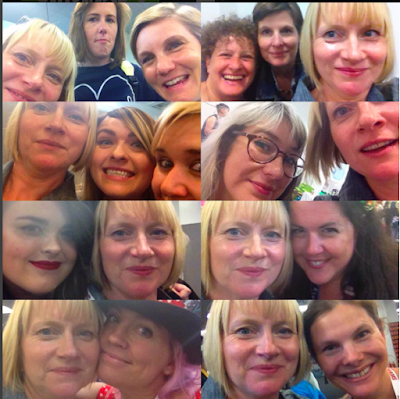 So I thought I would give you my Top 5 Highlights of #YALC 2016. 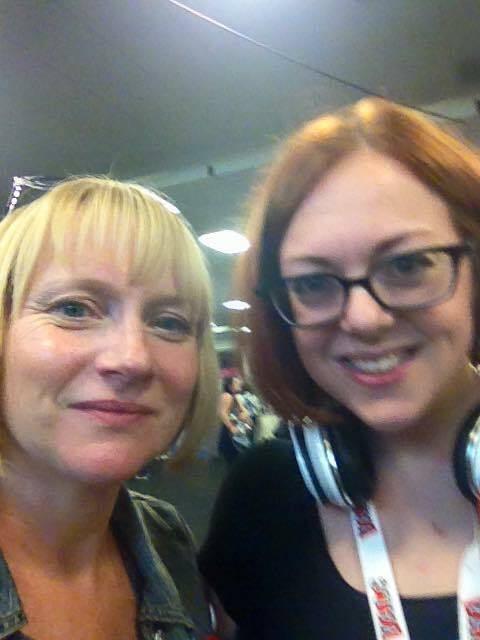 1) Meeting and hugging Victoria Schwab. I've been a fan of Victoria's since her first book, The Near Witch. In fact, I reviewed her debut here and interviewed her when she was just starting out. I was over the moon, when she remembered me! And now look how far she has come! New York Times Bestselling Author. The queue for her signing was immense. We both got emotional over remembering The Near Witch. Hopefully one day, it might be published by the UK. 2) Getting to see and spend quality time with friends. Blogging has allowed me to enter a world where I can call authors, publishing peeps and bloggers my friends. I talk to them online probably more than I talk to my family, so when I get to go to a three day event like this, I love that I can chat and talk books with people who feel the same. 3) Getting my portrait drawn! I've always wanted to have this done and I think Emma Shoard did a beautiful job. 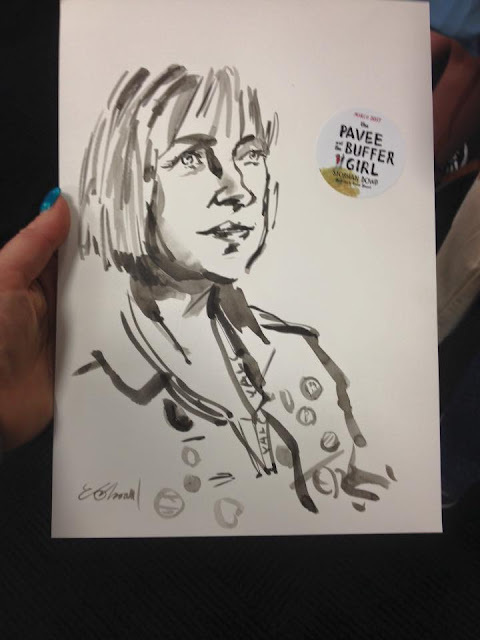 Emma is the illustrator for the graphic novel, The Pavee and the Buffer Girl which was written by much missed author, Siobhan Dowd. The book will be published by Barrington Stoke in March 2017. 4) Going to workshops held by some of my favourite authors. As I arrived early each day, I managed to get on some amazing workshops. On Friday I looked at how to use history to bring fiction alive with Rhian Ivory and I explored voice with Lisa Heathfield. On Saturday I worked in a group to reimagine the classics with Natasha Farrant, followed by how to get ideas for writing YA with Keris Stainton. Each workshop gave me extra tools to help with my own writing. I came away with lots of hints and tips that I will definitely use to develop my own creative voice. 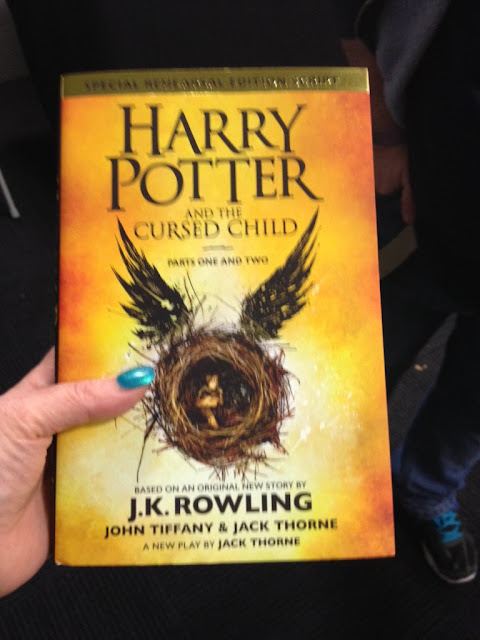 5) Getting my hands on Harry Potter and the Cursed Child! The book was released Saturday night at midnight, so it was fantastic to see a pile of them waiting to be purchased at YALC. Even better that they were available for £10! It would have been rude not to buy one. They are just a few of the highlights of YALC as there were so many more, I could write an endless list. I really wish I could go back and do it all again. 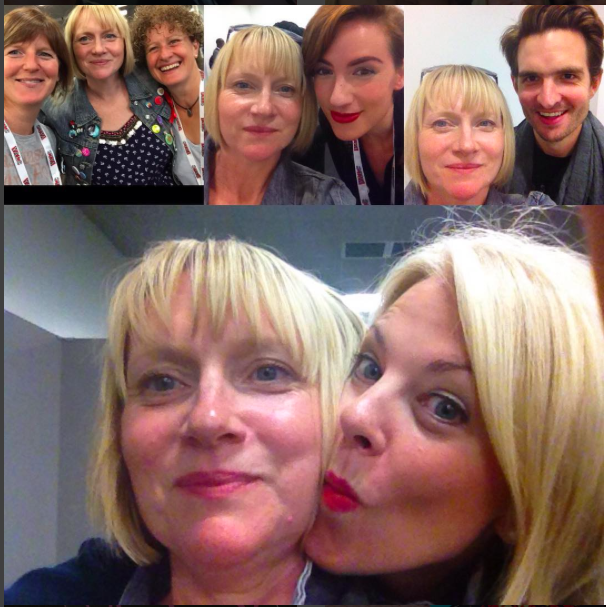 I want to congratulate the amazing #YALC team for pulling off an even bigger and better event than last year. I can't wait to do it all again next year.